Take a minute to imagine eternity. It’s easier said than done. No matter how much time you take to think, you’ll be stuck within the physical world’s limited perception of time. But you won’t be stuck forever. In this episode, host Curtis Childs and featured guests explore what eighteenth-century scientist and philosopher Emanuel Swedenborg learned about time in the spiritual world—and what it means for us in the physical world. Time and space are often intertwined. While a previous episode of the show that dealt with traveling in the afterlife focused only on space, this episode will explore time in the physical world and how it relates to spiritual time. Modern scientists tend to agree that time is relative, and several studies have proven that human perception of time is extremely uneven. 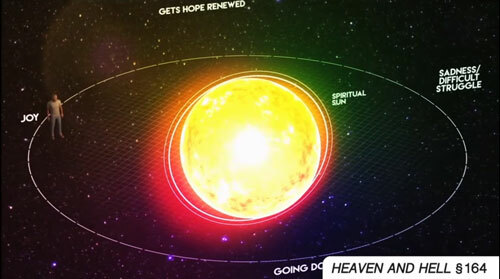 Swedenborg sees this as a result of the spiritual world, where there is no passage of time—instead, angels experience changes in their state of mind. Doesn’t make sense? Don’t worry. All will be revealed in upcoming sections. 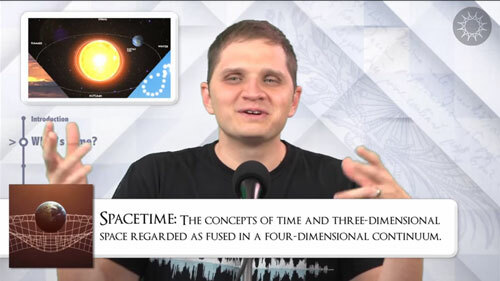 Swedenborg warns that getting caught up by the physical perception of time is a dangerous distraction: if we believe that what we perceive is all that exists, then we can get caught unprepared by a mind-broadening experience. 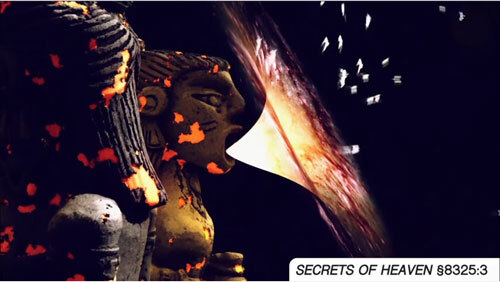 And then, of course, there are the two statues?! So how do we take time out of our mental equation? Chelsea Odhner shares a meditation strategy. The idea is to take yourself out of time and space and keep your focus on the eternal. In other words, time perception isn’t really about watching the clock; it’s about what we think and care about. That doesn’t mean we shouldn’t worry about eating, for example, or making sure we can pay the bills; it just means that we need to keep our focus on what’s eternal: the good that can be served through our actions. The spiritual world has time—in the sense that things happen in a certain sequence and there are causes and effects—but it’s not the same kind of time as in our world. 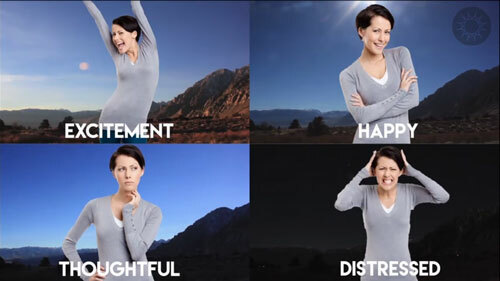 Spiritual time is structured around emotional states. Nuclear physicist Dr. Ian Thompson elaborates on how time and space might work in the spiritual world: time and space there are fluid, much more so than in the physical world. He notes that according to Einstein’s theory of relativity, gravity can cause elasticity in physical space and time—in much the same way that the structure of space and time in the spiritual world is shaped by love. 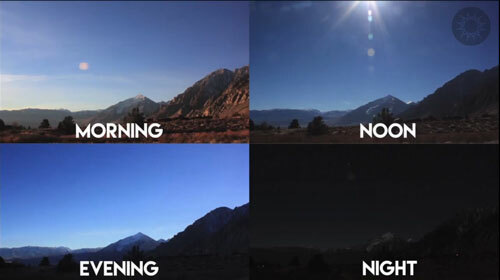 This is just like something we experience on earth: the movement of the sun in the sky to create different times of day. Angels are moving in relationship to the Lord, which produces different emotional states. For angels, everything is happening right now. They don’t think about future events. Because God is always present with them—in every moment—for an angel, every moment is now. If you want to hear more about that, you’re in luck: the next section is all about God and eternity. So if time is really a state, what does forever mean? And what does Swedenborg mean when he says that God exists in all time non-temporally? God is present all the time, everywhere, but he makes his presence known through a very finite medium—living beings. To illustrate this concept, Curtis uses the example of a gift: An object you give someone will only exist for a limited amount of time. No matter how well that person takes care of it, eventually it will deteriorate. But the intention behind that gift—the caring and the desire to make someone happy—is part of the giver’s spirit. That will exist forever. In the same way, God exists in us through the good and loving deeds that we do. That’s how our non-eternal selves contain a little piece of the infinite. Swedenborg adds that divinity exists in exactly the same way in the largest and the smallest things. In other words, you can accomplish good things in any amount of time, no matter how short it may seem. Physical time matters to us—we can’t ignore its passing. But we can still replace time-bound thought with eternal perspective. You can find infinite significance in every moment, even in this time-bound world. I would not like to lose myself as to who I am. Would God also want each of us to be as we have developed ourselves? Is time limited relative to a physical body as opposed to a spiritual one in the physical world? Do angels have a sense of humor? Do they play pranks or make inappropriate jokes? Any idea what’s happening when it seems like time stops for a few seconds? Is it the spiritual and the physical worlds connecting? What happens if a person has had a lot of trauma, etc.? Are negative things eternal too? Support Swedenborg and Life! Enjoy our programming and want to help us produce more free videos, books, and other faith and spirituality content? Make a donation or become a member of the nonprofit Swedenborg Foundation! 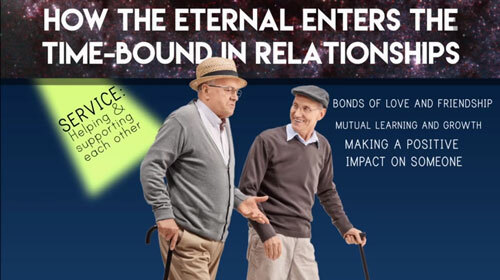 In a lighthearted and interactive live webcast format, host Curtis Childs from the Swedenborg Foundation and featured guests explore topics from Swedenborg’s eighteenth-century writings about his spiritual experiences and afterlife explorations and discuss how they relate to modern-day life and death.